The high standards of a certified used Toyota will provide you with not only a great deal, but also an outstanding vehicle. Whether you drive hundreds of miles each week, or just to the neighborhood grocery store once a week, you deserve a vehicle that looks like new and runs like new, but without the price tag. One of the smartest decisions you can make when buying a vehicle is to buy according to reputation, and a certified pre-owned Toyota is an excellent value. The longevity of a Toyota is well-known, and their overall resale value has made the brand a popular one among savvy car buyers. It is less expensive than some of the others that have a high return rate. A car lease in Los Angeles can be a smart way to avoid the high costs of a newer car, yet still enjoy the reliability, look, and updated features of a more recent model. With lower monthly payments and the ability to change your vehicle after a chosen time, a leased Toyota makes sense for people who enjoy having something newer to drive. The Toyota Certified Used Vehicle (TCUV) standard provides you with peace of mind and a vehicle with a comprehensive warranty. Not only does each Toyota come with the warranty, but it is only released to the buyer after a thorough inspection, so you can rest assured that a Toyota certified pre-owned vehicle will run for many years to come. A car lease in Los Angeles can be a smart way to avoid the high costs of a newer car, yet still enjoy the reliability, look, and updated features of a more recent model. With lower monthly payments and the ability to change your vehicle after a chosen time, a leased Toyota makes sense for people who enjoy having something newer to drive. The Toyota Certified Used Vehicle (TCUV) standard provides the with peace of mind and a vehicle with a comprehensive warranty. Not only does each Toyota come with the warranty, but it is only released to the buyer after a thorough inspection, so you can rest assured that a Toyota certified pre-owned vehicle will run for many years to come. From the point a vehicle comes into our possession, until the final sale, each component is inspected and cleared for sale to a buyer. The inspections and reports are all made available to the buyer prior to the sale, leaving no stone unturned and no question unanswered. With roadside assistance and 12 months of care, when you buy a certified pre-owned Toyota, quality is a certainty with your purchase. You can fully enjoy the Toyota you choose, rather than worry about the problems that may come with a pre-owned car. 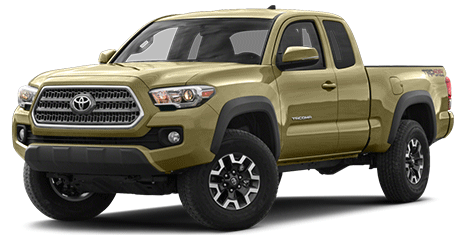 Think about the colors and features, rather than the transmission and mechanics, and know that wherever you move, the vehicle is covered at any Toyota dealership. The loyalty for the brand runs strong, and the foundation on which it is built will last for many years. The TCUV is designed for the smart car buyer, or even those who wish to lease a Toyota vehicle. Not many things are made to last, but a Toyota vehicle is an exception. The craftsmanship of each model is unsurpassed for the price, and you can walk away in a car lease in Los Angeles for less than you may think. It is possible to drive the car you’ve always wanted without being stuck in a lifelong commitment of a car purchase. In this economy, a lease can make sense, especially if you are someone who needs to maintain a certain appearance for your job, without spending too much. Toyota’s unwavering commitment to quality, innovation, and durability is the foundation for the TCUV program, and it is one of the best options out there for purchasing a vehicle — brand new or pre-owned.